The word ‘calligraphy’ is derived from Greek and means beautiful handwriting. But it is not just that. Calligraphy is an art that flourished in India for generations during the Mughal period. The beauty of the written word was given primacy because of Islam’s prohibition against idols. Khushnavisi, as calligraphy is referred to in Persian, was used in sacred texts such as Qur’an, Guru Granth Sahib, Mahabharata and Ramayana, and to decorate monuments, metal objects and handicrafts. Cut to the present times. Calligraphy is no more the revered vocation, all thanks to technology. But love for the written word still holds the charm and khushnavis (calligraphers) in Punjab, though few, are practicing the art with devotion. Let’s know them. As a child, Kamaljeet Kaur used to draw alphabets as a hobby, ignorant of the art form she was dabbling in. It was not until she was presented with a set of nibs in Class 12 that she started focussing on the technique of writing letters. With no one to guide, and this says a lot about the state of art, she walked alone in her pursuit of learning, studying the works of global calligraphers. Today, Kamaljeet is an accomplished artist. And her two exhibitions — Aneeq (beautiful) held in 2011 in Ludhiana and Sadaf (pearl) held in 2012 in Chandigarh, compilations of Gurmukhi and abstract calligraphy — are not a yardstick of that. Rather, her unwavering hand that draws stroke after stoke with spontaneity and eye for detail with regard to the choice of nib, texture, colour and medium (crayons, acrylic, water colours and gouache, to name a few) to match with the essence of the text, give a measure of her skill. “For me, text is of paramount importance. It has to appeal to me before I take up a project,” Kamaljeet says. So what appeals to her? “Gurbani,” she says with a smile and adds that Punjabi was an ‘alien language’ for her till not very long ago. For someone who was born and brought up in Meerut, Uttar Pradesh, udda, edda, iddi (first three alphabets of Punjabi) were never part of the formal education. “My parents badgered me to learn the language, but I always escaped,” Kamaljeet, 42, recalls. Probe her about the future of calligraphy and she lets her work do the talking. Handwritten Punjabi alphabets on stoles, kurtis, mugs and lamp shades, besides using calligraphy to write sahe di chithi (special invitation letter) for weddings comprise her work and they sell like anything. “With such experimentation, calligraphy can be given a new lease of life,” she says. Calligraphy gives Kamaljeet Kaur a chance to get acquainted with Punjabi literature, evident from her work on verses from the Guru Granth Sahib and poems of Shiv Kumar Batalvi and Surjit Patar. Being a Punjabi, I consider it my responsibility to take up Gurmukhi calligraphy,” says Kamaljeet, for whom Punjabi was an ‘alien language’ till not very long ago. 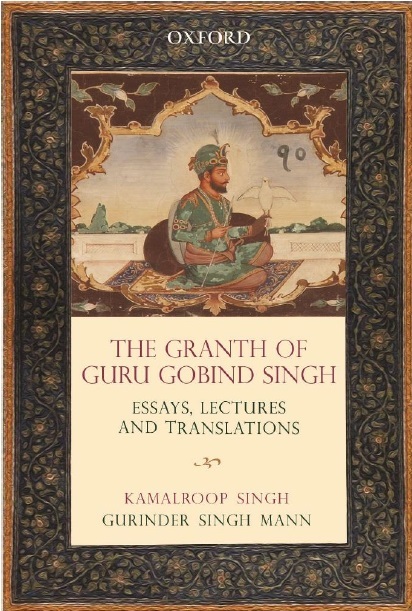 Any memory of Guru Granth Sahib written in unbroken words? Well, Hardeep Singh’s work is a reminder. From the Guru ki Nagri is an artist whose calligraphic work is an attempt to present the old style of drafting Gurmuki script and is “addressed to the new generation of Punjab oblivious to its past”. Not that he has written the entire Guru Granth Sahib in calligraphy, though he plans to, but a few verses from the holy book written beautifully are enough to take anyone on the path forgotten. Hardeep, 33, from Amritsar comes from a family of artists. “My great grandfather painted frescos on Harmandar Sahib, while my grandfather painted episodes from the Sikh history and my father, too, is no stranger to art,” he remembers. Needless to say, artistic skill is in his blood. “In calligraphy, there is no margin for error. It requires a lot of concentration for making borders, filling colours in them and writing the verse in calligraphy. A stroke here and there will ruin the entire sheet and I have to start all over again,” says the artist. Paul Alan Grosse, 53, has designed and developed a font based on a 97-year-old handwritten Punjabi primer marked by calligraphic elegance. “Joining each letter to the next without using the top bar meant that there were a number of possibilities of where and how letters join. As a result, each letter in font GHW Purani Primer PDL possesses quite a few versions,” says Derby (England)-based Paul says over e-mail. He has developed more than 200 Punjabi fonts. He got the lead from the Panjab Digital Library (PDL), Chandigarh, which has digitised the primer titled Ram Partap Gurmukhi Sikhya. “The primer was prepared in 1916 and it is kept with the languages department, Punjab,” says Devinderpal, director, PDL. “Paul asked for high-resolution images of the primer. We gave him the images on the condition that the font should be available free of cost,” Devinderpal says.